Within easy walking distance to all the towns amenities, this cottage has been lovingly maintained by the current owners and offers a homely feel throughout and versatile accommodation over three floors. The ground floor comprises of a lounge with exposed stone and timber fire breast incorporating a wood burning stove along with a spacious kitchen breakfast room. On the first floor, there are two bedrooms, the master with a period fire place, and a modern fitted bathroom. The loft has been previously converted and offers a third bedroom area. Externally, a service path runs at the back of the properties and gives access for bins and also to the attached storage barn which enjoys two floors and is ideal for bikes and general storage however, could also provide further potential as a home office, hobby room and a `teenagers den`. Chudleigh is perfectly placed betwixt the A38 & A380 giving excellent transport links to Plymouth, Exeter and the M5 network beyond. 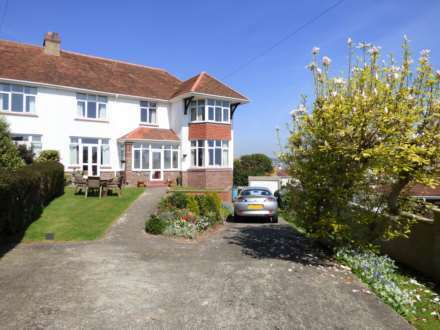 The town offers a substantial array of local amenities including school, local shops, doctors surgery and church along with easy access to the ancient market town of Newton Abbot which boasts a mainline train station providing good links to the capital. For the outdoor lover, Dartmoor National Park is on the door step along with the stunning South Devon coastline with its pretty beaches and coves. Coved and textured ceiling with recess spotlights. Range of base and eye level wooden units with roll edge work tops and tiled surround. Inset stainless steel sink unit with drainer to one side and mixer tap above. Inset four ring gas hob with oven below and recessed spotlights above, built into the original chimney breast. Space and plumbing for washing machine and space for upright fridge freezer. Double glazed window to the rear aspect and obscure double glazed door to the rear. Wall mounted gas fired boiler supplying the central heating system and providing domestic hot water. Tiled floor and stairs rising up to the first floor. Coved and textured ceiling. Doors to bedrooms, bathroom and loft room. Coved and textured ceiling. Double glazed window to the front aspect with timber sill. Range of built in wardrobes. Period horseshoe style open fire and radiator. Coved and textured ceiling. Double glazed window to the rear aspect enjoying far reaching views across the town and surrounding countryside. Built in storage wardrobe. Radiator. Fitted white bathroom suite comprising of a pedestal wash hand basin, low level flush WC and panel bath with shower above and tiled surround. Historically converted loft area with sloped roof and exposed ceiling timbers and velux window, again enjoying countryside views to the rear aspect. Access to eaves storage. To the rear of the property, a cobbled service path runs at the back of the terrace of cottages and leads to the private storage barn (10`7" x 8`7" (3.23m x 2.62m)) and out onto the road. The barn enjoys two floors and is currently used to store bikes, however could be utilised as a home office, hobby room or `teenagers den`.